He was only going to be in Montreal for a week after being invited by his wife and son. Mr. Raina earned his PhD in 1978 from the University of Bombay and is now a mathematical physics professor at that university. He co-authored a book on lie algebras with famous Russian professor Victor Kac. His research interests include the interface between physics and mathematics. He gave a glowing review of the classical Chinese dance and music performance that Shen Yun has become famous for the world over. “It is uplifting. In the end, you feel in a sort of high moral plane. It is quite extraordinary that way, which in a normal spectacle you wouldn’t feel,” he said. Shen Yun’s mission is to revive the authentic Chinese culture. With stunning digital backdrops and dancers in meticulous costumes accompanied by a live orchestra that includes traditional Chinese instruments, Shen Yun takes the audience on a journey through 5,000 years of the Middle Kingdom’s culture. “Principles such as benevolence and justice, propriety and wisdom, respect for the heavens, and divine retribution, all come to life,” says Shen Yun’s website. Mr. Raina discussed how he felt the spiritual aspect of today’s culture has somewhat degenerated, and that goes for his own Indian culture as well as Chinese culture. “I feel that the whole spiritual side has gone down in recent years,” he said. According to Shen Yun’s website, after decades of communist rule, the link between China’s culture and respect for the spiritual side has been diminished greatly. He also described feeling an emotion that was cleansing and said the performance speaks to the individual like no other does. He said the performance was “approachable” in that it is something you can reach and experience. Classical Chinese dance is the primary dance discipline seen in Shen Yun, although there are also folk and ethnic dances. The ancient dance form is one way in which 5,000 years of Chinese culture has been passed down. The dance form is very expressive and moving. 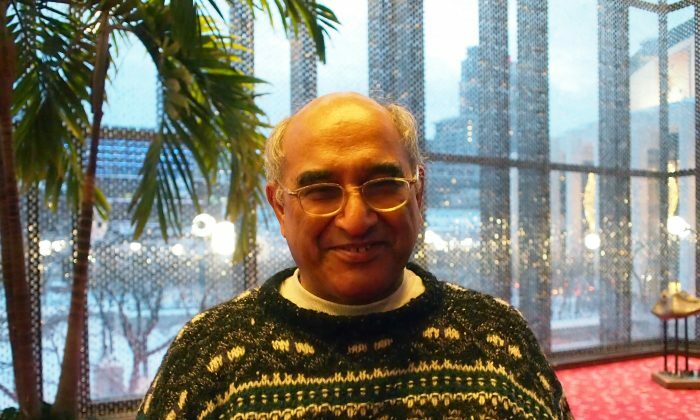 Finally, since Mr. Raina came all the way from India to Montreal to see Shen Yun, he said that if one has the means then, “Yes, I would say go anywhere in the world you can” in order to see Shen Yun. New York-based Shen Yun Performing Arts has four touring companies that perform around the world. Shen Yun’s International Company will continue on to Quebec City for two performances on Jan. 13 and 14. For more information, visit ShenYunPerformingArts.org.